Partly cloudy skies early will give way to cloudy skies late. Low 48F. Winds ESE at 5 to 10 mph.. Partly cloudy skies early will give way to cloudy skies late. Low 48F. Winds ESE at 5 to 10 mph. 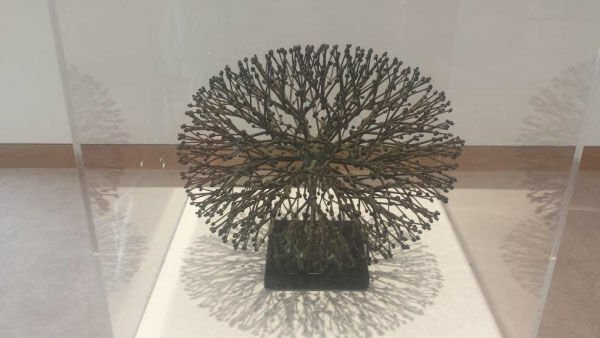 Harry Bertoia's bronze sculpture, "Bush in Winter" (1972), is on display at the Susquehanna Art Museum until April 12. HARRISBURG — This week Harrisburg welcomes its first dedicated art museum as the Susquehanna Art Museum opens its doors to the public. Historically the museum had relied upon temporary exhibition spaces in downtown Harrisburg locations such as Strawberry Square, the Whitaker Center and, most recently, the State Museum of Pennsylvania. The Susquehanna Art Museum’s new building is a mixture of the reuse of the former Keystone Bank Building and new construction totaling more than 20,000 square feet. Contained within the museum walls are several gallery spaces; one of which is the repurposed bank vault, a café, museum shop and educational programming rooms. The inaugural exhibitions for the new museum begin with “Harry Bertoia: Four Decades of Drawings” in the Lobby Gallery. On loan from the Seraphin Gallery and The Estate of Harry Bertoia, the show presents a selection of monoprint drawings from the Italian-born artist, sculptor and furniture designer. Bertoia, who ultimately settled in eastern Pennsylvania in his later years, was associated with Charles Eames and Knoll Industries, leaders in the Modern Art furniture movement. Bertoia, himself, created the Bertoia Diamond Chair in 1952, which became a hallmark of the style. In his “Four Decades of Drawings,” one can see the organic, fluid shapes that are reflected in his furniture design. Influenced by Kandinsky and Miro, Bertoia’s works simultaneously present the space age futurism and mysterious primitivism of the post-World War II period. Bertoia’s drawings contain elements of both control and chaos, with forms constructed of meticulously drawn lines but also including seemingly random design elements. The subtle use of muted colors in several pieces is intermixed with creations in black ink on paper, including rice paper. The highlight of the exhibition is an example of Bertoia’s sculpture in “Bush in Winter” from 1972, on loan from the collection Dr. Linda Litton. This stunning creation in bronze of a rounded, barren bush holds the promise of rebirth in the buds tipping the edges of the branches. The visual effect is magnified as light from above creates the intricate shadow to surround the sculpture’s base. “Harry Bertoia: Four Decades of Drawings” will be on view through April 12. In conjunction with Harrisburg’s monthly art celebration, “Third in the Burg,” the Susquehanna Art Museum will present the opening of “Pop Open: Icons of Pop Art from Niagara University” on Friday in the main exhibition hall. The members’ preview begins at 5 p.m., followed by the free public opening from 6 to 9 p.m. with refreshments and tours. This exhibition includes more than 50 works by founders of the Pop Art movement, such as Warhol, Rauschenberg, Oldenburg and Lichtenstein. “Pop Open” is an unprecedented opportunity to locally experience the seminal works of the artists from one of the late 20th century’s most important art movements. It is on display until March 1. In addition, there will be a free admission Community Day at the Susquehanna Art Museum on Sunday from noon to 5 p.m., sponsored by Capital Blue Cross and Fulton Bank. The Susquehanna Art Museum’s permanent home is a welcome and long overdue addition to the Central Pennsylvania art scene. It is thrilling to have a dedicated art museum in our capital city to host high caliber exhibitions, as well as provide art education opportunities to the local community. The Susquehanna Art Museum is located at 1401 North Third St., Harrisburg. The museum is open 10 a.m. to 5 p.m. Tuesday to Saturday, noon to 5 p.m. Sunday and by appointment Monday. General admission is $8; $5 for teachers, seniors and veterans; and free for children younger than 12. Free parking is available at the rear of the building. For additional information on the museum and upcoming activities visit the website at www.sqart.org. Joseph George holds a degree in history and art history from Dickinson College. 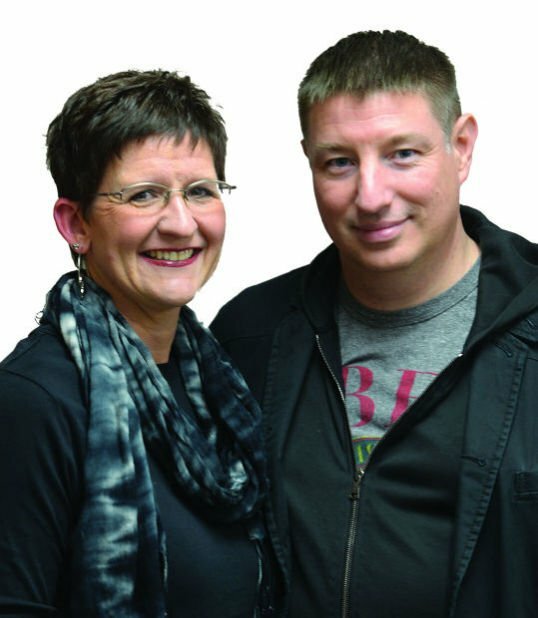 He and his wife, Barrie Ann, have spent much of their 25 years together traveling and visiting art galleries locally and throughout the world. Their tastes range from fine art to street art. Add to your checklist to hold delivery of the print edition of The Sentinel while you are away at cumberlink.com/services. Have you been looking for a part-time business opportunity to pick up some extra cash, submit an application to be a newspaper carrier.